Marlene Dietrich is one of very few film stars whose career not only spanned 60+ years but who also enjoyed icon status for most of those years. Her life in film began in the early 1920s with silent pictures. It came to a close with Maximillian Schell's 1984 Oscar-nominated documentary, Marlene, in which she speaks but does not appear on camera. 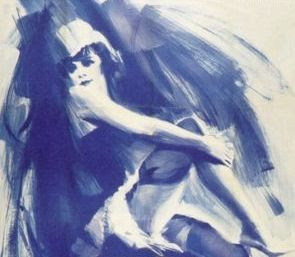 Dietrich shot to fame as Lola Lola in Josef von Sternberg's The Blue Angel (1930). Shortly after the film premiered, she left Germany for the U.S. where she and von Sternberg collaborated on six more films during the 1930s. 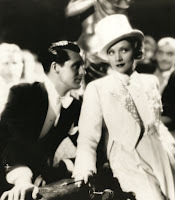 The first, Morocco (1930), was nominated for four Oscars, including a Best Actress nod for Dietrich. By the end of the decade her career had cooled but was reignited when she co-starred, at von Sternberg’s urging, with James Stewart in the 1939 hit, Destry Rides Again. Although Dietrich continued making films in the 1940s, most were shot before the U.S. entered the war or made after the war ended. Though she appeared in only nine films from 1950 - 1978, several are classics: Hitchcock's Stage Fright (1950), Fritz Lang's Rancho Notorious (1952), Billy Wilder's Witness for the Prosecution (1957), Orson Welles's Touch of Evil (1958) and Stanley Kramer's Judgment at Nuremberg (1961). Her final film role was in Just a Gigolo (1978) starring David Bowie; while the movie is forgettable, her brief appearance is not. ﻿﻿In 1953, the Sahara Hotel in Las Vegas offered Dietrich the unheard of sum of $30,000 a week to perform on stage. Her run was so successful that she was quickly signed for a similar engagement in London. The London show was also a smash and she followed it with a return engagement at the Sahara. 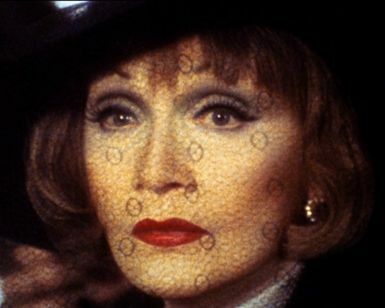 This was the beginning of Dietrich's celebrated career (and reinvention) as a high-ticket chanteuse that lasted through the mid-1970s. In 1972 she performed her concert act as a TV special and earned an impressive-for-the-era $250,000 for it. While she was in England in 1937 working on a film, von Ribbentrop, Hitler's ambassador to Great Britain at the time, approached and pressured her to return to Germany. She refused and became a U.S. citizen in 1939. 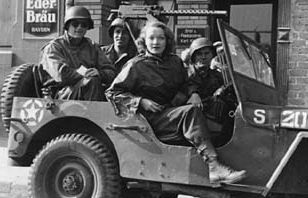 When America entered World War II, Dietrich was one of the first stars to sell war bonds. 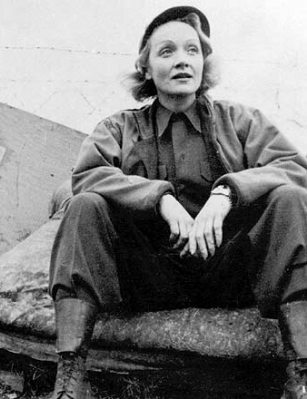 She entertained troops on front lines all over Europe and in North Africa, appeared at sevicemen's canteens and made anti-Nazi broadcasts in Germany. In addition, Dietrich and other successful Eastern European émigrés in Hollywood provided both financial assistance and moral support to refugees from the European film community who fled the Nazi onslaught. ﻿ ﻿In 1934 Dietrich became romantically involved with one of the great stars of the silent era, John Gilbert. Gilbert's young daughter Leatrice came to know Dietrich through her father. In her 1985 biography of him, Dark Star, Leatrice Gilbert Fountain wrote of Dietrich's kindness to her, particularly after John Gilbert's death in early 1936. According to Leatrice, during Dietrich's romance with John Gilbert the actress tried to help revitalize his career as well as his health. She arranged for Gilbert to test for the role of her jewel-thief partner in Desire (1936). Gilbert got the part but unfortunately, shortly after filming began, he suffered a heart attack and was replaced in the role. Leatrice recalled visiting her father's house on December 24,1935 and being dazzled by the beautiful Christmas tree, decorated in the German tradition by Dietrich herself. She noted that Dietrich had thoughtfully slipped away that day so she could spend time alone with her father. Just over two weeks later John Gilbert was dead of a heart attack. Following his funeral, Dietrich contacted Leatrice's mother with information and advice about Gilbert's will that could benefit his daughter. 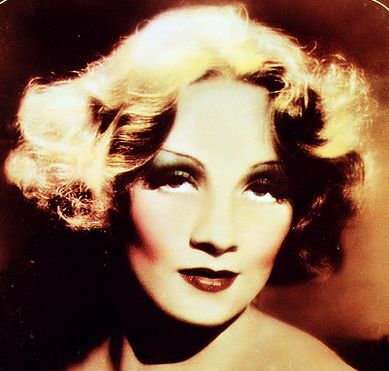 Though her mother was unable to successfully pursue the information Dietrich provided, more important to young Leatrice was the relationship she developed with the actress. 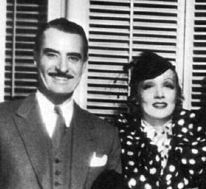 Days after John Gilbert's funeral, Leatrice received an enormous bouquet from Dietrich with a card in her handwriting, "I adored your father. Let me adore you." Leatrice Gilbert Fountain wrote in Dark Star that for many years thereafter Dietrich made a point of spending time with her. She remembered Dietrich as a "fairy godmother" and told how the star took her to theater openings, on long walks and talks, baked cookies and cakes for her and generally made her feel like "a princess." All this was at a time when Dietrich was very busy with her film career. Fountain reflected, "I wonder if Marlene Dietrich realized what a difference her presence made to me." She also recounted stories of Dietrich's early days in Hollywood when word began to circulate that she paid the overdue rent of a studio secretary who'd lost her job, that she picked up the hospital bill for the child of a studio electrician and other such acts of generosity. Fountain emphasized that Dietrich did not take credit for these deeds nor would she talk to Fountain about her efforts to help John Gilbert; Leatrice had to go to other sources to learn the details. Marlene Dietrich died at age 90 in Paris on May 6, 1992. Her celebrity remains legendary, but her goodwill deserves a place in the Dietrich legend as well. A beautiful, insightful post about a very complicated woman. Thank you! Wow! She had a very full life! I'm really enjoying reading you blog. It's nice and very informative! The generosity displayed so many of the stars of that era is remarkable. Marion Davies used much of the money she made to help ill and needy children in Los Angeles; near the end of her life, she helped establish a children's wing at the UCLA medical center. Actresses such as Jean Harlow and Carole Lombard were renowned in the film community for aiding crew members who were down on their luck through no fault of their own. As VP points out, the stars of Dietrich's era could be very generous. It may be that there was more a sense of community in Hollywood in those days. Today it seems most celebs have a charity, but this is now considered a PR necessity. THANX for the tribute..I think MARLENE was more anti-nazi than 90% of americans...she appreciated her celebrity status and gave back in kind...rarely seen by the nouveau trash of today!! That was a great post, Eve, about a true star. In Destry and Witness for the Prosecution, she showed her versatility. I never found her to be particularly beautiful, probably because I haven't studied her early work, but she was glamorous in every way. The photo you posted from Gigolo shows how good she looked at 77 years old! She inspired others as seen by Madeline Kahn's character in Blazing Saddles! Thanks for the added insight. I was aware of Marlene's anti-Hitler stance and her assistance during the war but your information on her relationship with Gilbert's daughter is new and remarkable. I only watched her last week in A FOREIGN AFFAIR, her first of two films she made with Billy Wilder. She is actually the best thing in the film, for me, one of Wilder's lesser films. Ironically, her role is that of a Nazi sympathizer. Well-written biography of an enigmatic, beautiful and generous woman, Eve. Her feelings for John Gilbert and her efforts to help him showed her generosity and loving nature, and little Leatrice had good reason to adore her. I always thought Marlene's best works were in her later career. Witness for the Prosecution and Judgment at Nuremburg particularly, were tremendous performances. And, as you say, I just love Madaline Kahn's Marlene spoof -- that's a real tribute to a real star. 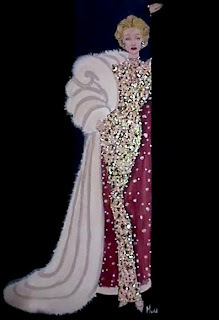 This is a tribute to Dietrich that even she would adore. Such great information on one of our great Hollywood icons.